I know not everyone shares my love, but I hope heaven is covered in snow. I love how it makes everything look so serene and clean. That being said, during the snow storm, J. L. and I had to brave the snow and walk about 3/4 of a mile from my apartment to his so that we could pick up his Jeep and pick up my sister from babysitting. While the weather outside was frightful and there was no delightful fire in sight, we decided to sing Christmas carols to try to get our minds off of our freezing feet, noses and ears. Lyrically, my all time favorite Christmas songs is "Oh Holy Night." But I felt like sharing a few of my favorite songs that kept us warm on our chilly walk! Wait. 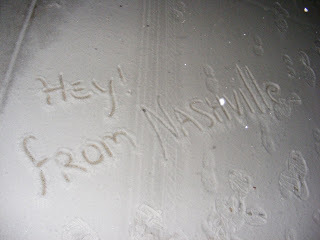 . . NASHVILLE got snow and we didn't here in Boston? That does not seem fair! Alas, that's the way the world works. . . So is that why I kept getting emails from Belmont saying that all the finals were rescheduled? :P No matter how many times I email them, and how many times they say they'll do it, i haven't been taken off the email list! Haha. Oh well. I guess I'm eternally on the list. 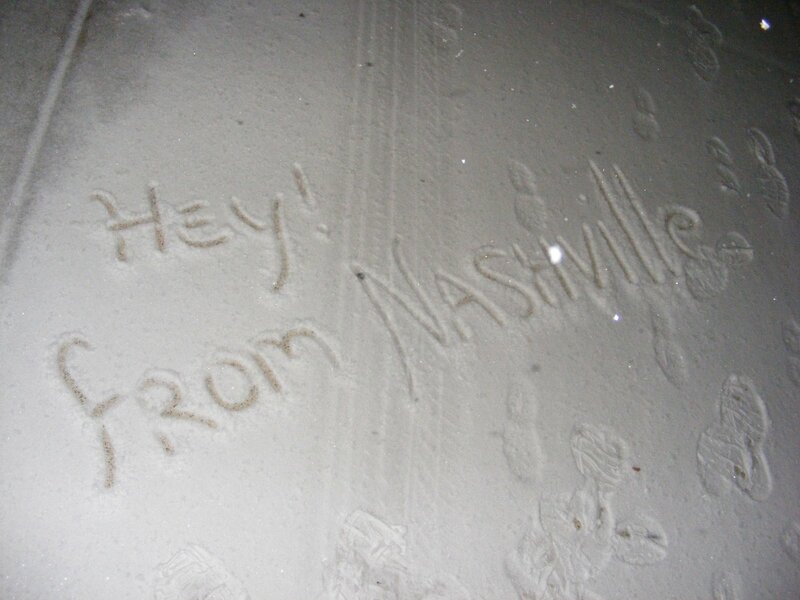 i've been in nashville when it is snowing and it is magical! i looove the song "all i want for christmas" ... i'm a cheeseball (: merry christmas girl! Singing is always fun, right? :D I don't really have a favorite Christmas song.